Lightweight texture, smooth glide, easy absorption, and very gentle on the skin. Spa Pangea Hydrating Massage Oil contains a nice balance of argan, grapeseed, avocado and olive oil blended with vitamin E for its antioxidant, anti-aging properties. Non-comedogenic. 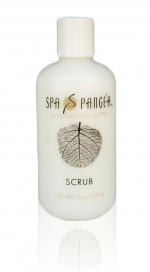 Features the light, custom fragrance of Spa Pangea.